John Owen Brennan served as the director of the Central Intelligence Agency under President Barack Obama from March 2013 through January 2017, a position that capped off a 29-year career with the CIA that began in 1980 in the agency’s main analytic arm, the Directorate of Analysis. 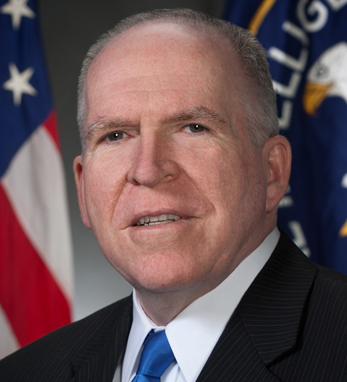 Brennan’s tenure with the CIA also included stints as intelligence briefer for President Bill Clinton from 1994 to 1995, chief of staff to CIA director George Tenet from 1999 to 2001, director of the newly established National Counterterrorism Center during President George W. Bush’s first term, and chief counterterrorism advisor to President Obama from 2009 to 2013. From 2005 to 2009 he worked in the private sector as chairman of the Intelligence and National Security Alliance and CEO of The Analysis Corporation. Brennan, a Middle East specialist fluent in Arabic, graduated from Fordham University with a bachelor’s degree in political science, studying abroad in Cairo for a portion of his junior year. He went on to earn a master’s degree in government with a concentration in Middle Eastern studies from the University of Texas, where he also refined his Arabic. The shift within the CIA from a Cold War focus to the Arab world helped make Brennan a valued commentator within and beyond the agency. He was named a distinguished fellow for global security at the Fordham University School of Law’s Center on National Security in 2017, and in February 2018 began his post-public service career as senior national security and intelligence analyst at NBC and MSNBC. Born in 1955 in Jersey City, New Jersey, Brennan was raised in West New York and North Bergen in an extremely Irish household. His father Owen was a native of County Roscommon who worked as a blacksmith for the Anglo-Irish McCalmont family in what is now the Mount Juliet Estate prior to emigrating to the U.S., and his mother Dorothy was first-generation Irish American with roots in Mayo and Galway. In 2013, Brennan and his brother Tom took their father on a return trip to Roscommon where they toured his father’s homeland, visiting his childhood home and planting a memorial tree on the grounds of the former church where he was baptized, now the Kilteevan Community Centre. Brennan and his wife Kathy Pokluda, who is of Czech ancestry, have been married 40 years and have one son and two daughters – Kyle, Kelly, and Jaclyn. Click here to read Brennan’s April / May 2018 Hall of Fame profile.